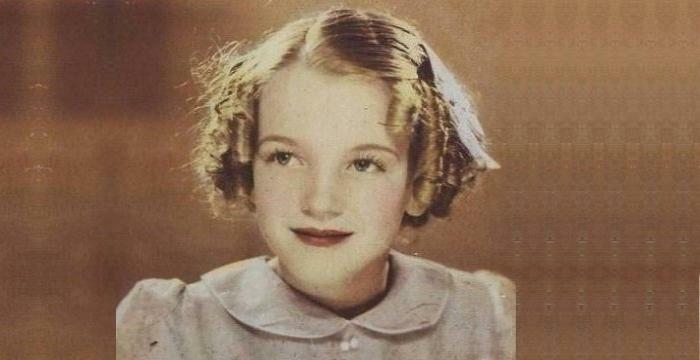 Also Known As: Gerald Rudolph Ford Jr., Leslie Lynch King Jr.
father: Leslie Lynch King Sr.
Gerald Ford was born as Leslie Lynch King Jr., on July 14, 1913, Omaha, Nebraska, to Dorothy Ayer Gardner, and Leslie Lynch King Sr. His biological father was an alcoholic and an abusive man who used to beat his wife. Fearing for her safety and that of her newborn child, Dorothy left her husband and went to live with her relatives. Dorothy later married a salesman named Gerald Rudolff Ford who adopted her son and gave him his name. This marriage produced three more sons. Gerald’s step-father was a great person and Gerald received a loving upbringing along with his younger half-brothers. 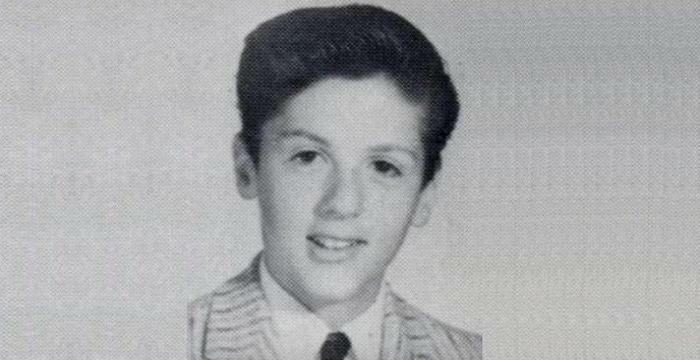 He grew up to be an athletic young boy and was the captain of his football team while attending the Grand Rapids South High School. He was also selected to the All-City team of the Grand Rapids City League. He attended the University of Michigan where he continued playing football. A versatile player, he played center, linebacker and long snapper for the school's football team. He graduated in 1935 with a Bachelor of Arts degree in economics. In spite of being a great football player, he decided to pursue a legal career instead of a sporting one. He enrolled at the Yale Law School in 1938 and graduated in 1941 with a L.L.B. degree and was admitted to the Michigan bar shortly thereafter. Gerald Ford teamed up with a friend to open a law practice in May 1941. However, the World War II which had begun in 1939 was intensifying and Ford enlisted in the Navy to serve his country. He served in the South Pacific and was promoted to Lieutenant Junior Grade in June 1942 and to Lieutenant in March 1943. From April 1945 to January 1946, he was on the staff of the Naval Reserve Training Command, Naval Air Station, Glenview, Illinois as the Staff Physical and Military Training Officer, and was promoted to Lieutenant Commander in October 1945. He resigned from the Naval Reserve in June 1946. He had been interested in politics for quite some time now and won his first elective office as a Republican congressman from Michigan in 1948. 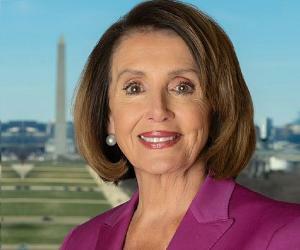 He held the congressional district seat from 1949 to 1973, and largely dealt with issues on foreign policy, the military, spending, the space program and the Warren Commission over the course of his 25 year long career. In 1973, Vice President Spiro Agnew came under scrutiny for criminal charges of tax evasion and money laundering filed against him. 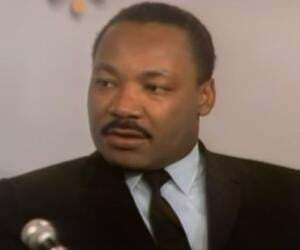 Disgraced, he resigned from his position on October 10, 1973. President Richard Nixon then nominated Gerald Ford as the new vice president under the provisions of the Constitution's 25th Amendment. Ford had a reputation for being an honest man and his clean image played a major role in his nomination. Ford was officially sworn in as the 40th Vice President of the United States on December 6, 1973. In mid-1974, evidences of President Nixon’s involvement in the infamous Watergate scandal began to crop up and the President tendered his resignation on August 8, 1974. The very next day, on August 9, 1974, Ford was sworn in as the 38th president of the United States. Ford came to power at a tumultuous time in American politics. 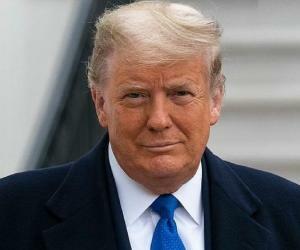 Shortly after assuming office, he announced a conditional amnesty program for those who had evaded the draft or deserted during the Vietnam War. In a controversial move, he granted presidential pardon to former President Richard Nixon for his role in the Watergate scandal. The economy of the United States was at a very low point at that time. The inflation rate and unemployment were both on the rise, and the economy was going through a recession. He created the Economic Policy Board by Executive Order on September 30, 1974 in an attempt to control the inflation. He urged the general public to reduce their spending and consumption as it was necessary to control public’s spending in order to rein in the inflation. Ford called this program "Whip Inflation Now" (WIN), and asked the public to wear “WIN” buttons and take pledges to show their support for the program. As the 1976 presidential election approached, Ford was not too keen on running for the office. Nonetheless he decided to run. He faced the Democrat Jimmy Carter, former governor of Georgia, and lost to him. 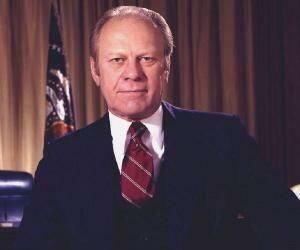 Gerald Ford stepped down as the president on January 20, 1977, after an 895-day presidency which remains the shortest term of all presidents who did not die in office. He remained relatively active in politics for a long period thereafter. 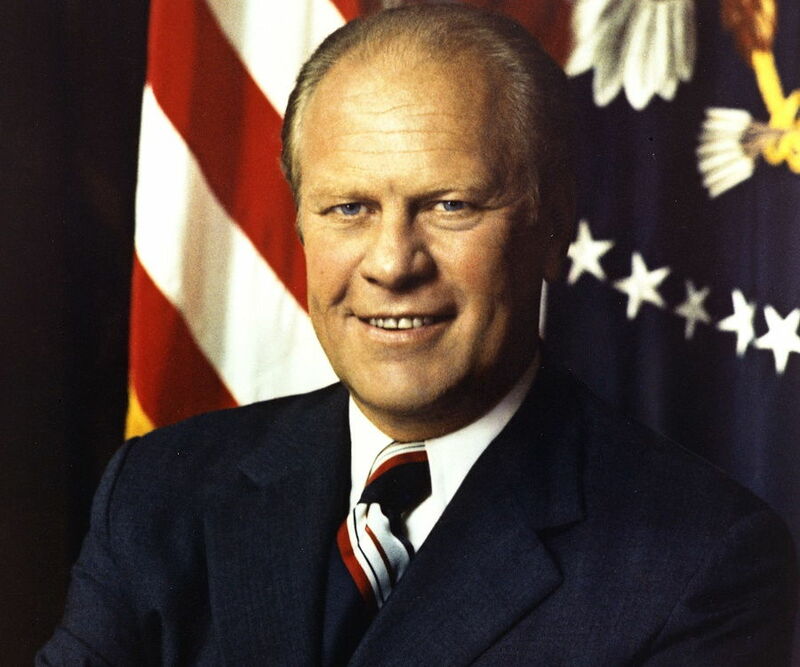 As President, Gerald Ford created the Economic Policy Board in order to deal with the precarious economic situation. He called on the American public to reduce their spending to rein in the inflation. As a World War II veteran, Gerald Ford was the recipient of numerous prestigious awards including Asiatic-Pacific Campaign Medal, American Campaign Medal, and World War II Victory Medal. 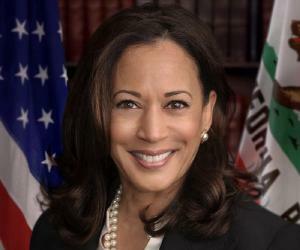 He was awarded the Lone Sailor Award by the U.S. Navy Memorial Foundation for his naval service and his subsequent government service in 1992. In 2001, he was awarded the John F. Kennedy Profile in Courage Award by the John F. Kennedy Library Foundation for his pardon of Nixon. In 1948, Gerald Ford married Elizabeth Ann "Betty", a former dancer and fashion model. She had previously been married to, and divorced from an abusive man. Gerald and Betty had a happy marriage that lasted 58 years until Gerald's death. They had four children. Ford survived two assassination attempts while he was the President. The attackers in both the cases were arrested and taken into custody before they could harm him. 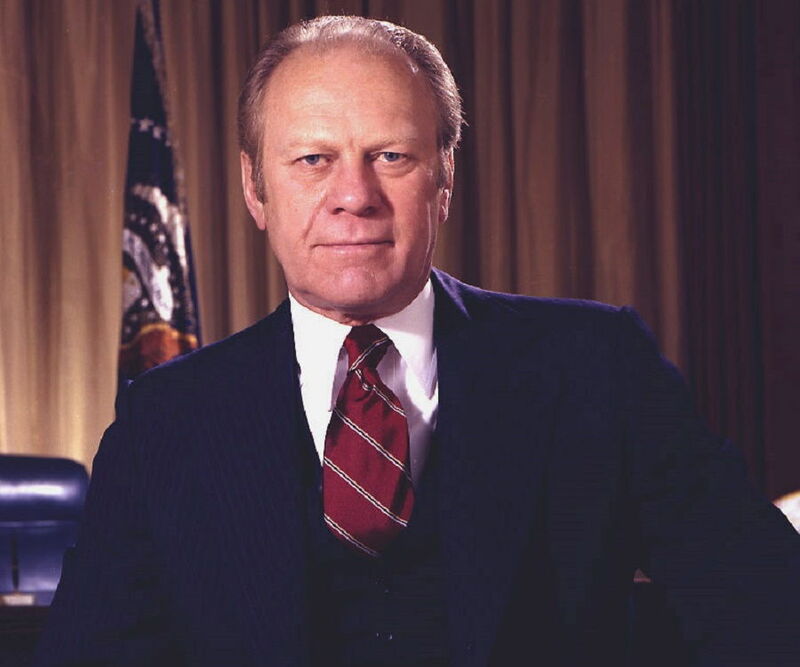 Gerald Ford lived a long life and died on December 26, 2006 after having lived for 93 years and 165 days, making him the longest-lived U.S. President. He suffered from arteriosclerotic cerebrovascular disease and diffuse arteriosclerosis during his last days.